Following a slew of releases in 2018, Toronto-bred artist benny mayne unveils a new music video from latest collab with Atlanta lyricist 24hrson their track “strangers”. The edgy video opens with his enraged and barebacked ex-girlfriend banging on the front door of his house. Both benny and 24hrs avoid letting her in knowing they’d “just crash and burn”in her fury. They then fall back into a dream-like state as they go on with their day, trying hard to get this girl off their mind. benny had a breakout year, emerging onto the scene with his hit track “bounce”in January, and stayed on a consistent flow of sensual R&B-infused Pop records. After returning to the studio to experiment and evolve his sound, benny debuts an evolved version of his darkpop-infused-RnB sound with his new track “Strangers” ft. 24hrs. Los Angeles-based producer Party Favor returns to cap off a massive 2018 with his latest single "Blame", an emotive, stadium-sized anthem featuring Miami-based singer/songwriter Naïka. Party Favor delivers his signature and bass-heavy instrumentals, complementing by Naïka's ephemeral and emotive vocals. The single's artwork depicts its cathartic, in-the-moment vibe with an out-of-focus close-up of Party Favor's forearm tattoo that reads "enjoy the journey". "Blame" is out today via Mad Decent. "This record was such a long time coming," Party Favor explains, noting the track finally came together once Naïka was brought on board. "The beat for this song was made over a year ago. We tried so many different vocalists/lyrics and finally found the right fit with Naïka. She captures the vibe so perfectly. Really proud of this record and think it's a great fit for Mad Decent. Excited to be working with them again on another release!" Party Favor boasts one of the most diverse and accomplished resumes in the industry as an DJ, producer and boundary-pushing artist. His music has helped the festival trap and twerk scenes rise to unforeseen popularity in dance music, and frequently blurs the boundaries between electronic, rap, reggae, and many other genres. Party Favor has worked as a producer for some of the biggest names in the industry, such as Lil Jon, 2 Chainz, Migos and ASAP Ferg. "Blame" follows Party Favor's recent "MDR," which has amassed an impressive 135 million plays on Spotify and Soundcloud, as well as "Circle Up," his recent hit collaboration with Bipolar Sunshine. Adding to this year's slew of accomplishments includes Party Favor's ongoing world tour, where he has ignited stages at major music festivals including Coachella, HARD Summer, and more. Stay tuned for what Party Favor has up his sleeve next! Directed by Luke Biggins, the video features cameo appearances from Lisa Mafia, Oxide & Neutrino, Lonyo, Kyla, Shystie, Ms Banks, Spoony, Leanne (from Sweet Female Attitude) and Richard Blackwood. Produced by AdotSkitz and EY, Pour Me Another One samples the 2000 released Garage classic and chart hit, Flowers by Sweet Female Attitude. The release is a timely nod to Krept & Konan’s recent sold out headline show at Alexandra Palace, home to many iconic UK Garage nights during the noughties. Aside from selling out the 10,000+ capacity Alexandra Palace, and two nights at the Kentish Town Forum, 2018 has seen Krept & Konan shut down the main stages at Wireless and Reading & Leeds Festivals over the summer, star in the highly anticipated independent film Intent 2 (alongside Adam Deacon, Ghetts and Dancehall superstar, Popcaan), launch their #PlayDirtyRadio show on Beats 1, and spearhead a Hennessy campaign encompassing a collaboration with Slaves recorded live at Abbey Road Studios. All this alongside launching their own restaurant, Crepes & Cones in their home town of Croydon, with accompanying track Crepes & Cones ft Mostack. Their exceptional year to date follows hot on the heels of Krept & Konan making chart history in 2017 with the release of mixtapes 7 DAYS and 7 NIGHTS when they became the first act ever to have two mixtapes simultaneously enter the Top 10 of the Official UK Albums chart. Krept & Konan’s Pour Me Another One ft. Tabitha is released via DefJam in the U.S. and Virgin EMI in the U.K. and the rest of the world. Melanie Taylor is a Los Angeles based singer-songwriter whose time has come to leap off the page into the limelight. This distinguished alt-pop performer mixes electro-pop elements into her 90s influenced style, creating a world of her own. Gaining inspiration from the late and great Michael Jackson, she's living proof that the best thing you can ever be in life, is yourself. Her unique approach to songwriting opens a portal of authenticity that listeners gravitate towards through her intoxicating ideas. Melanie Taylor’s roots are grounded in San Diego, CA. She was an only child raised by a single working mother, which meant a lot of daycare and time left to entertain herself. Melanie found solace in classic pop records like Mariah Carey and Alanis Morissette, which guided her in the right direction by giving her a vision of her untapped potential. Childhood was lonely at times, but once she was introduced to theater, she found belonging in her theater families. Even now, she treats her audience like brothers and sisters, morphing the stage into her true home. She strives to consistently break out of her shell, opening herself up to vulnerability by allowing self-reflection and acceptance. Melanie began her artist development in 2012 with her debut record All About Today, which was later followed by her self-titled album in 2016. She most recently put her pen back onto paper with her 2018 singles “Ink” and “Adderall,” as she comes to terms with a need for commitment (in “Ink”) and a need for release (in “Adderall”). 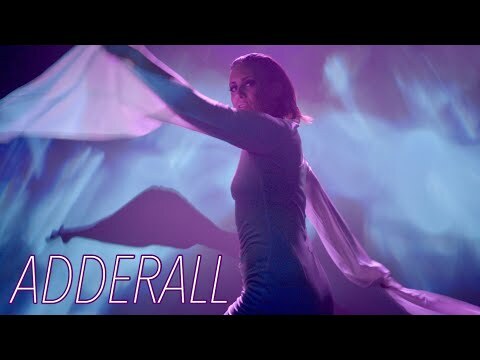 Melanie Taylor graces the streets of Hollywood in her official music video for “Adderall.” Quickly transitioning to contrasting shots of her draped in white, her internal discourse becomes overbearing, influencing her erratic actions. With a bare face, her pure raw energy creeps to the surface which was once internally manifested. Screaming up to God, she begs for answers that come in the form of an interpretive dance. As she watches from the back of an empty theater, the isolation becomes all-encompassing. Melanie hits her own personal rock bottom and breaks her cycle of self-destruction by becoming aware of the hurtful relationship she's in, ultimately putting an end to the abuse she's endured, the drug leaving it's addict." Self-described “Afro-tina” Reiana Fernandez – known to the world as Simply Rayne – didn’t come out of the womb singing. This 20-year-old’s journey to success has been steeped in hard work and self-possession. She was raised on classics like Stevie Wonder, Marvin Gaye, Bill Withers, Al Green, Diana Ross and Etta James, and on her own explored modern icons like Michael Jackson, Destiny’s Child, Prince, Rihanna, Bruno Mars, Mary J. Blige, and Lauryn Hill. But her number one influence is none other than the queen herself: Beyoncé. Simply Rayne hit the ground running with her career: her 2013 debut single earned her radio play in Australia, and in 2016 she began a working relationship with the production duo The KlubJumpers, who have 80 Billboard-charting songs and numerous Gold and Platinum Records to their name. She’s shared the stage with such diverse artists as G-Eazy, Steve Aoki, Lil Wayne, Migos, funk icons Lakeside, and Khalid, and performed two years in a row at the Mala Luna Music Festival. She’s made numerous live TV appearances and appears as herself in the upcoming independent romantic comedy film The Margarita Man. With faith-based ethos and unflinching optimism, Rayne strives to set a positive example as a multi-cultural young woman, and has earned the title of “Teen Vogue Ambassador”; had cover features in ReFocused Magazine and ChicaGirl; being a Bold Favor Award Honoree, in recognition of amazing leadership in the entertainment field, and being named a City of San Antonio Youth Ambassador. Working alongside director Mike Harris, Beer executively produced and co-wrote the creative for the video which was shot in Simi Valley. The video makes it clear that she is in control and has never been more confident as an artist. Described by Complex Magazine as “Madison’s biggest track to date,” “Hurts Like Hell” was released last Friday and has already been added to countless playlists across streaming providers. “Hurts Like Hell” comes hot on the heels of the success of Madison’s previous single “Home With You”, which made music history when it peaked within the Top 20 of US Top 40 radio chart, making Beer the first independent female solo artist to ever do so. Madison Beer is an independent artist breaking in a major way. Her debut EP, “As She Pleases” (which spawned “Home With You”, “Say It To My Face” and “Dead”), has notched up over 400 million combined streams since its release in February. Her Spring/ Summer 2018 headline worldwide tour sold out within minutes of going on sale, while her first ever festival performance at Lollapalooza over the summer was lauded by critics. This year has also seen Madison make her late-night debut on The Late Late Show With James Corden; feature in Billboard’s coveted “21 Under 21” list of top musicians in 2018; guest on David Guetta’s “7”album; perform alongside Liam Gallagher at Milan fashion Week A/W 2018; grace the covers of numerous magazines worldwide (including, most recently, Flaunt magazine); launch her own clothing collection (with leading online womenswear retailer missguided); and be enlisted as the face of a Bulgari fragrance campaign. All in addition performing live to an audience of 80 million viewers at the Riot Games World Championships Event last week in celebration of her feature on K/DA’s debut track “POP/STARS” which has topped iTunes charts in over 16 territories worldwide within 72 hours. 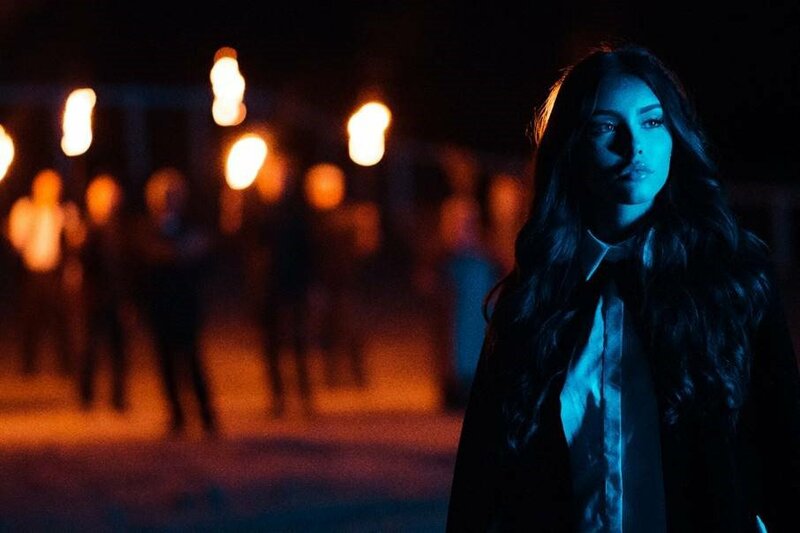 Madison Beer – who has partnered with First Access Entertainment and is distributed through AWAL – is a fully independent artist consistently praised for her trailblazing efforts and her passion for creating music that empowers listeners. Her huge, engaged and ever growing fanbase, (evident from her 2.6million+ followers on Twitter, and eye-popping 10. 5 million+ on Instagram), regard her as a pioneer of the ‘Girl Boss’ generation. All eyes are on Madison as fans look to her first full length studio debut, set for release in 2019. Marty Blaze drops a new visual for his single “Head Doctor” which is featured on his most recent mixtape release ‘Out The Gutta’. Watch & comment below. India Love, the recording artist/model/influencer who rose to fame on Tumblr, has dropped her latest single titled "Candy on the Block," available now on all streaming platforms. The record, produced by will.i.am, features a bass-heavy trap beat and India's laidback rap vocals. The visual for the single, which premiered on WorldStarHipHop, were directed by Shadae Lamar Smith and find India going back to her Compton roots – hitting the swap meet, her family's house and riding dirt bikes through the city. India is fresh off tour in Europe with the Black Eyes Peas for their Masters of the Sun Tour that featured elements of virtual reality (VR) and augmented reality (AR), promoting their latest album of the same name. While on tour she performed her previous singles "Trouble" and "Talk Yo Sh!t," which were released earlier this year. Premier streetwear retailer Moose Limited (MLTD) is now the home of 'The Grinds TV with Bobby James,' a brand new digital interview series conceptualized as "intelligent conversations at the intersection of hip-hop, fashion and sports." In the debut episode, host Bobby James is joined by rapper Freddie Gibbs, who discusses everything from the current state of music to basketball, and drops exclusives on his latest collaborative project Fetti with Curren$y and The Alchemist. Gibbs, who is getting ready to kick off his Freddie tour in a few days, had a lot to say about current trends in the rap game, Logic copying his album cover, his upcoming project with Madlib, and much more. With Los Angeles, hip-hop & streetwear culture at the forefront, the series comes to life through creators Byze One, a 25+ year music industry vet that's worked with everyone from Kanye West to Kid Cudi to Kendrick Lamar to Damian Marley, and Eric Flores, who started off in the music industry at Interscope Records and stands as the men’s buyer for MLTD. The show is filmed at Harun Coffee in historic Leimert Park, a coffee shop owned by ASAP Rocky’s manager Chace Infinite. From Her Full-Length Album, Dorel, Out February 2019. Grammy Award-Winning violinist/producer/humanitarian Miri Ben-Ari returns with a Hip Hop masterpiece, the new single “Quiet Storm.” It’s a virtuosic violin performance dedicated to women’s empowerment that plays over a hard Hip Hop beat and the voice of legendary hype man Fatman Scoop. Celebrated as the “Hip Hop Violinist,” she shot the video at the birthplace of the genre, The Bronx. “Quite Storm” is the first single on Ben-Ari’s upcoming album, Dorel, out in February 2019. The title is her son’s name and in Hebrew it means God’s generation. It will be her first full album since the release of her debut album, The Hip Hop Violinist, which featured such stars as Kanye West, John Legend, Lil Wayne, Pitbull and more. Originally from Israel, Ben-Ari has created her own unique music; a revolutionary fusion of classical, Hip Hop, Soul and Dance. The classically trained violinist, who once studied under the late classical master Isaac Stern, has helped sell millions of records by collaborating with other Grammy award-winning artists such as Jay Z, Wyclef Jean, Alicia Keys, Wynton Marsalis, Britney Spears, Maroon 5, Akon, Patti Labelle, Brandy, Donna Summer, Janet Jackson, and Armin Van Buuren. Her work on Kanye West’s “Jesus Walks” earned her a Grammy for Best Rap Song in 2004. Ben-Ari has not been quiet since her previous album. She has continued to work on her own music and collaborate & produce with artists all over the world. She has a current hit single, “Baila,” with Diamond Platnumz, one of today’s top artists in Africa. Miri Ben-Ari is more than just a musical talent. She prides herself on her humanitarian efforts as well. She is a Goodwill Ambassador of Music to the United Nations and started her own non-profit organization, the Gedenk Movement, dedicated to educate, raise awareness and encourage self-expression among youth about anti-Semitism, racism and their brutal consequences. Noted as an "Apollo Legend" by the Apollo Theater in New York City, she has performed for both the Clintons and the Obamas, taught children about the violin on Sesame Street, and played numerous high profile events including the dedication of the Martin Luther King Jr. Memorial in Washington, DC. Make sure you check out this exclusive record “Right Back” from Jack Juan. The record features your local robber Fat Fool. This is something that could be played in a lounge or something. Great vibes going on with this one. Check out this banger below! Established country/rock/blues singer from New Jersey, Matt Tanner, just delivered some of the finest visuals for his new hit single title “Josephine”. The cinematic music video captures a young tormented couple going through a destructive phase. Matt’s rough yet soothing voice will undoubtedly touch the heart of listeners with one of the most appealing country-rock fusion of the year. Stay tuned with Matt’s latest works by giving him a follow on Instagram. First Aid Kit are a Swedish songbird and songwriting sisters duo comprised of Johanna and Klara Söderberg just released a four track EP including the song “Tender Offerings”. Their vocal harmonies and woodsy, folk-influenced songwriting remind us of some of the best in the genre. They just released their fifth album titled tender offerings featuring a gem track by the same name. Born of Brazilian, Filipino and Jamaican descent, Jevon has always strived to bring new sounds and influences to the table. After working behind the scenes with artists like Stefflon Don, Yxng Bane and RAY BLK plus helping a new generation of UK artists find their sound, Jevon is now staking his place amongst them as one of the frontrunners. Not concerned with following musical cycles Jevon draws from styles not typically associated with UK Rap and R&B. His first EP, due out Fall 2018, is an insight into the battles Jevon faces when dealing with scenarios that are beyond the norm for a kid growing up. It reveals a vulnerability and a stripping back of the ego that has helped shape his music and character to this day. ABOUT VEVO DSCVR: Vevo DSCVR is part of Vevo’s emerging artist platform that curates the best up and coming artists – acts that believed to have a significant impact on the future – to perform their best tracks. Each of these artists are captivating live acts, and their personalities truly emerge when they’re putting their passion front and center, bringing a song to life onstage. Vevo has a long history of helping emerging artists break through to new and wider audiences. Past alumni of Vevo’s DSCVR series include Jack Garratt, James Bay, Years & Years, Wolf Alice, Sam Smith, Jorja Smith, Maggie Rogers, Alessia Cara and Ella Eyre. Vevo is committed to working with artists at an early stage of their career to create unique content that brings their music to life visually and provides a catalyst for exposure to new audiences. Look into the roots of strong R&B vocalists, and you may find they spent time singing in church. The modern soul approach of Queen Naija, which can be heard on tracks such as "Bad Boy," "Mama's Hand" and "Medicine," is partially due to getting schooled early on - she was part of a choir as a child in her native Detroit. That was way before she became a YouTube hero, of course. For the last few years, she's been pleasing fans by inviting them into her all aspects of her life as a wildly popular vlogger. Boasting three million subscribers, her YT channel has focused on delivering personal candor to an ever-growing fan base. When she and her husband split last year, it prompted her to hit the studio and not only vent some frustration but stand up for women everywhere. "Medicine" busted the the 23-year-old to the next-level success that she's riding right now. Her follow-up track on the same subject, "Karma," is just as revealing, with a message attached. "I'm just letting him know, 'I might be sad right now, you might be happy, but the table's gonna turn.'" She really brought the drama, and a little bit of that church vibe, when she stopped by to perform it, and explained her feelings on its double-edged sword effect. "While it makes me feel good that other women can relate to what i'm writing, it makes me feel bad that they have to go through it." Pull up and I’m smoking exotic. T-Hood is coming out of Atlanta. His flow is not to complex but he delivers some fly lines and flows. He’s a chef with the words. Feels like Camron, Gucci Mane, and Rocko. Weird blend but T-Hood is really Zombie that stays on his grind all day and night.. Do not sleep on this lit as visual called “Sushi” . Check it out below! Zaely is not letting up. She’s making sure to stay consistent. The hard thing she is pulling off is giving her audience visuals. Which isn’t easy for females. Not saying they can’t do it, but from styling to their vision. It can be a lot to handle on set.But Zaely continues to not let her fan down. Her latest release “Goodbye” feels good. It’s a pick me up record when you are down. Don’t believe us? Check it out for yourself. Compton native Chris O'Bannon has released the new video for "Raise The Price," which premiered on Rosecrans Ave. The song is from his latest offering Sauce Meets World, which finds Chris employing each of his many skills including producing, songwriting, singing and rapping. The project features fellow rising stars Kalan.FrFr and AZChike. Most recently, Chris was featured on Nef the Pharaoh & 03 Greedo's "Choosy" alongside AllBlack.